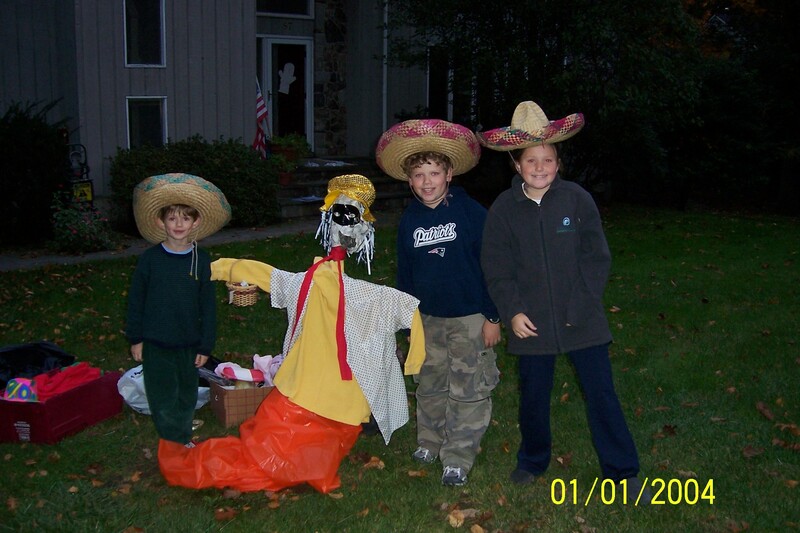 The GHOSTS of Halloween Past! 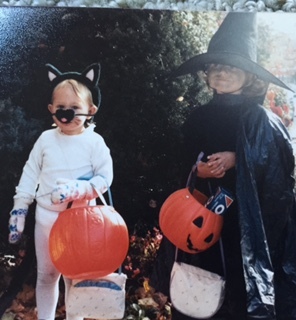 I tricked myself into thinking I would not write much in this post, after I treated myself to a trip down memory lane perusing old photo albums for Halloween pictures. But the writer in me can’t resist a few words here and there. And actually, most of my best memories were not captured in pictures because I was too busy enjoying them to find the camera. 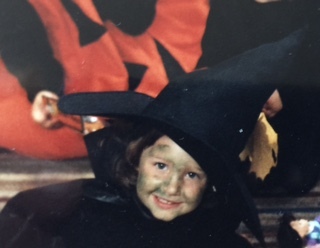 Halloween has always been one of my favorite holidays. Maybe as a kid it was because we were not allowed to have candy except when Trick or Treating. If I rationed my cache well, I could enjoy candy every day until Thanksgiving! But my favorite Halloweens were after my children were born. Who can resist a baby pumpkin! 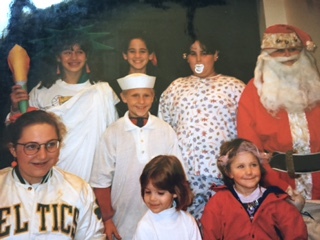 Unfortunately I could not find a singe picture of any one of my kids in the homemade baby pumpkin costume, even though they all wore it. A witch and her black cat are pretty irresistible too. 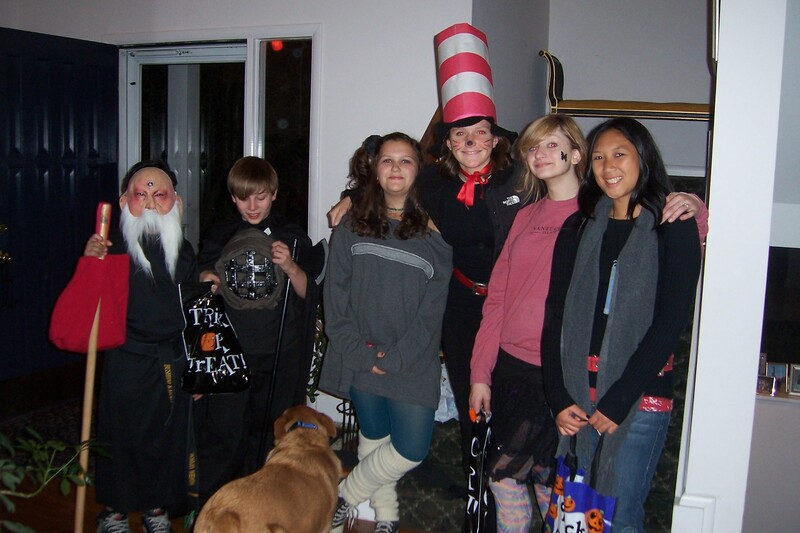 My favorite series of Halloweens were the years we hosted our annual Collen Clan Halloween Party. Uncle Bern always wore the most minimal, but the most creative and the best costumes. One year drew on a mustache and called himself Alexe Hente (SP?) The Demanding One – from a coffee commercial. Another year, he was a Volkswagen test driver and the next, Senator Bob Dole. 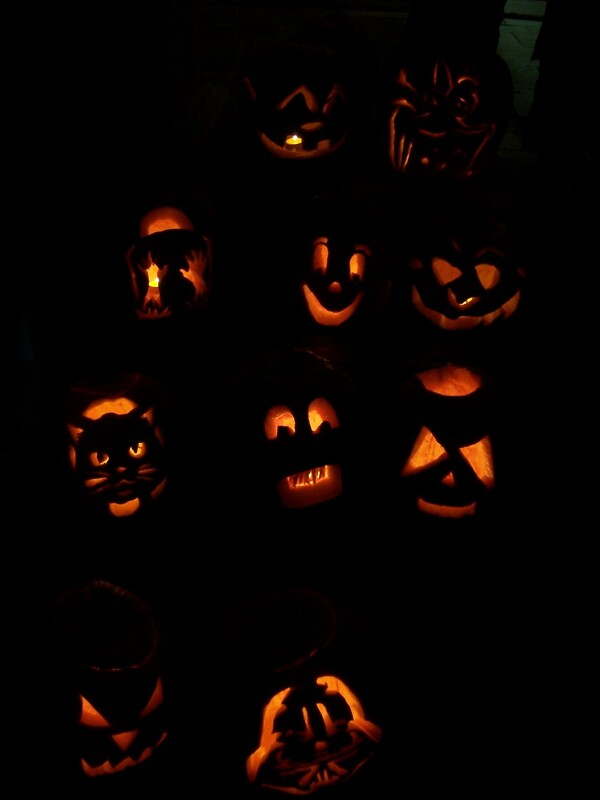 There are all kinds of fun kid activities during Halloween – here’s my 3,000 words. 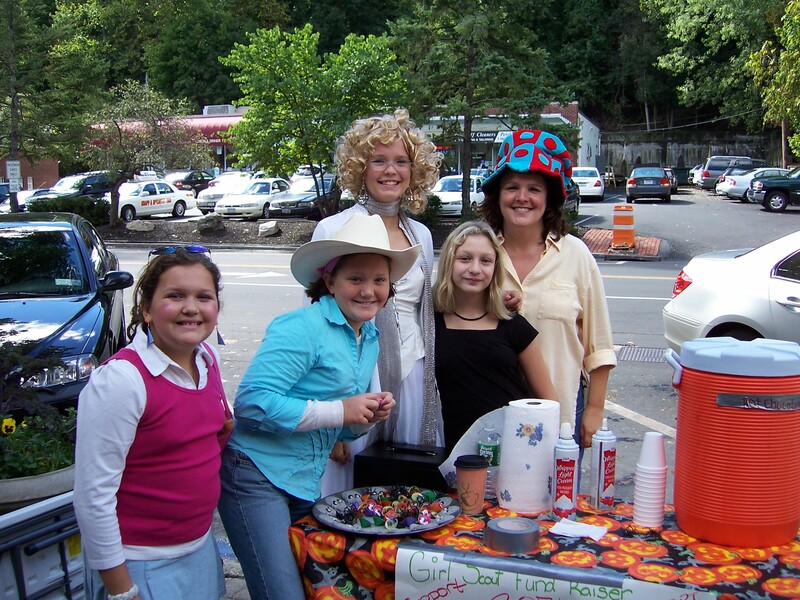 girl scouts joining the fun and raising money for a good cause. Thanks Anne! Another SPOOKTACULAR evening at work! OH NO! I’ve said too much! . . . I haven’t said enough.